The Maple Leaf is the most iconic symbol of Canada, now enjoy it in 10 oz size! 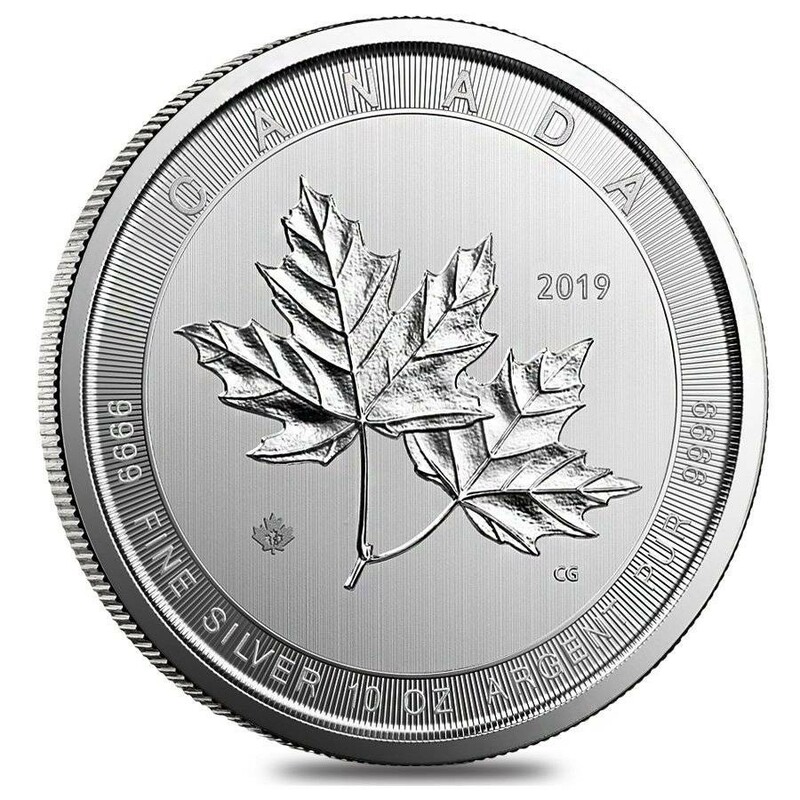 The 2019 10 Oz $50 Canadian Silver 'Magnificent' Maple Leaf Coin is the third release in the series from the Royal Canadian Mint and is here to stay! Enormously popular in 2018, this year's release is sure to be hotly anticipated by collectors and investors alike. Take advantage of low Monument Metals pricing and free shipping on all orders of $99 or more! Contains ten (10) troy ounces of .9999 fine silver. Carries a face value of $50 CAD and is fully backed by the Canadian government. Each coin is shipped in a custom-made air-tite capsule from the RCM. Features unique security features, precise radial lines and micro-engraved laster etched Maple Leaf with the date on the reverse side. 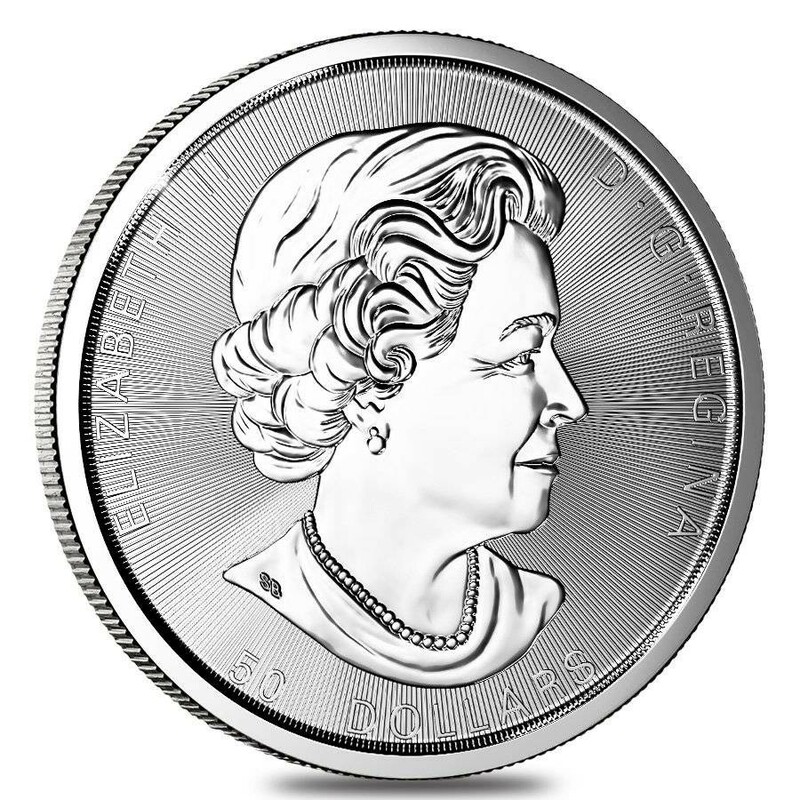 The obverse depicts Queen Elizabeth II along with the face value ($50 CAD). The reverse depicts two sugar maple leaves pointing upward along with the date (2019), weight (10 t.o.) and fineness (.9999 Fine Silver). 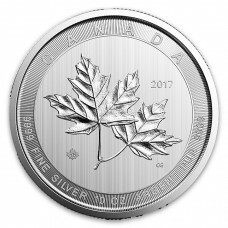 Best Prices on 2019 10 Oz $50 Canadian Silver 'Magnificent' Maple Leaf Coin!